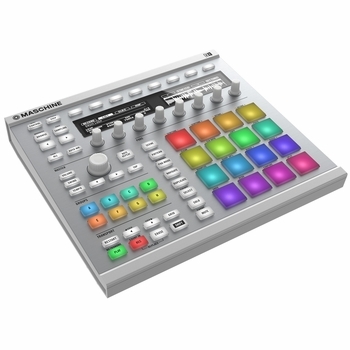 Native Instruments Maschine MKII Groove Production Controller White DJParts - All Variety of Parts that DJ Needs. Make MASCHINE the centerpiece of your studio set-up. With direct access to all software functions via the intuitive hardware, you can easily browse, load, tweak, play, arrange, and automate all sampler, plug-in and effect parameters with full hands-on control. With MASCHINE you can also control and sequence all of your external hardware instruments, or switch to MIDI mode to control other software. Once your track is ready, drag and drop your patterns as MIDI or audio files directly into your DAW to finalize and mix your production. You'll soon realize MASCHINE is a powerhouse capable of revolutionizing the way you make music. 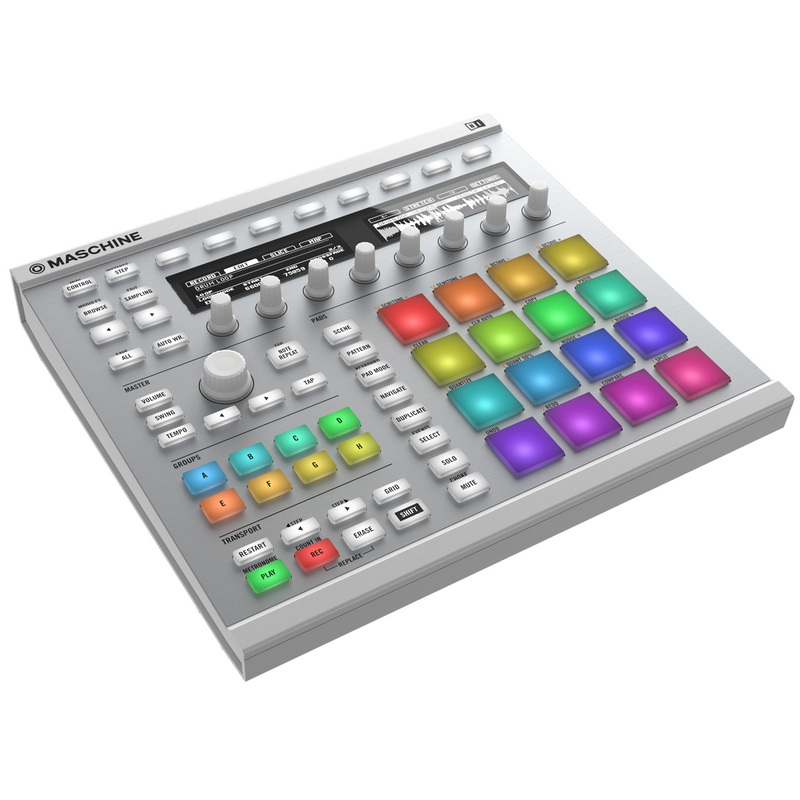 MASCHINE is the ultimate performance tool for creative musicians. The controller is super-sturdy yet easily portable. The highly responsive, multi-color pads are addictively playable, and the click buttons, the rotary encoders and the master push encoder provide point perfect control. Two back-lit, high-contrast displays provide optimum visibility so you always know what's going on - even in the most demanding situations. Use MASCHINE as an instrument and/or MIDI controller for performing your own tracks, or sync it with other gear like TRAKTOR PRO 2 to add more dynamics to your live set. The colored pads and buttons let you see your sounds, making the workflow smoother than ever while providing irresistible eye-candy on stage.